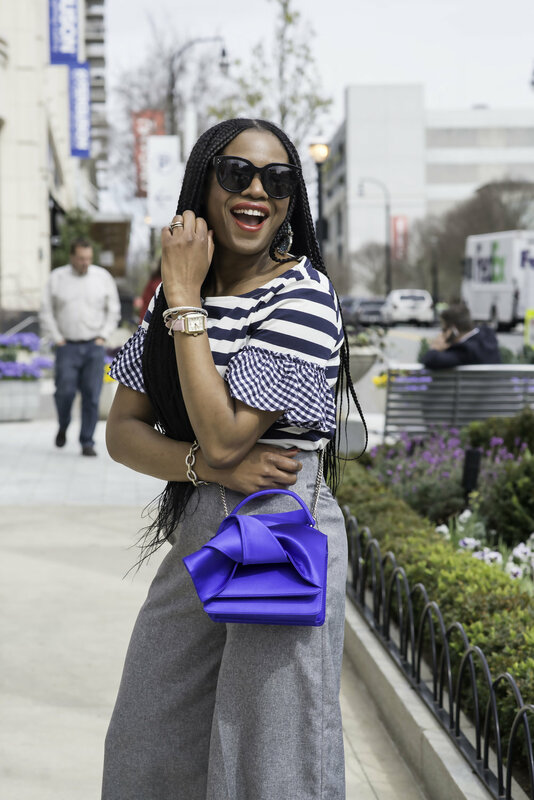 Hey Style Lovers happy Friday! Because you are my people I know you are just as happy as I am that it’s Friday! This week felt like it would never end! I got a lot of work done, but it just felt like it wasn’t enough. Today I am hosting a class at the annual Pinners event hosted by Pinterest. In this class I will demonstrate how to make cheap look chic with the help of a few little tricks. Follow my InstagramStories to see how the event goes! 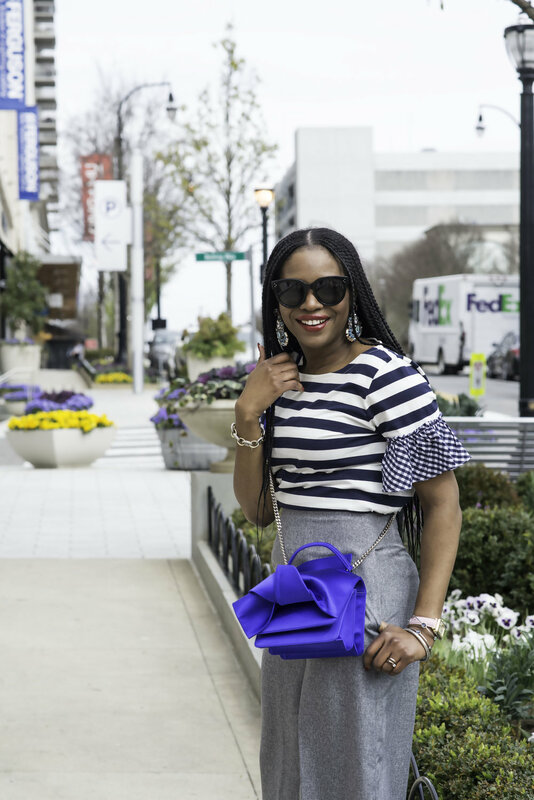 Today’s outfit post features gingham, and stripes, 2 spring trends featured in my Spring Summer style guide (get your copy HERE). 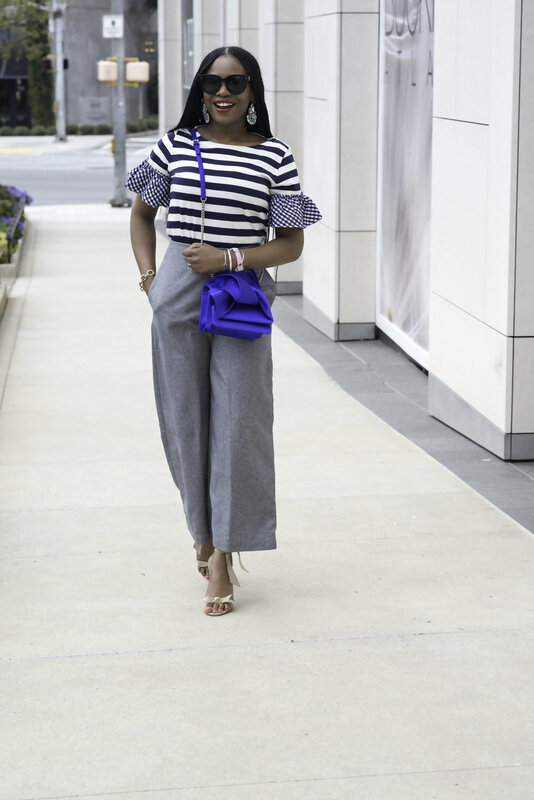 I paired this fun top with a pair of high waist crop pants. 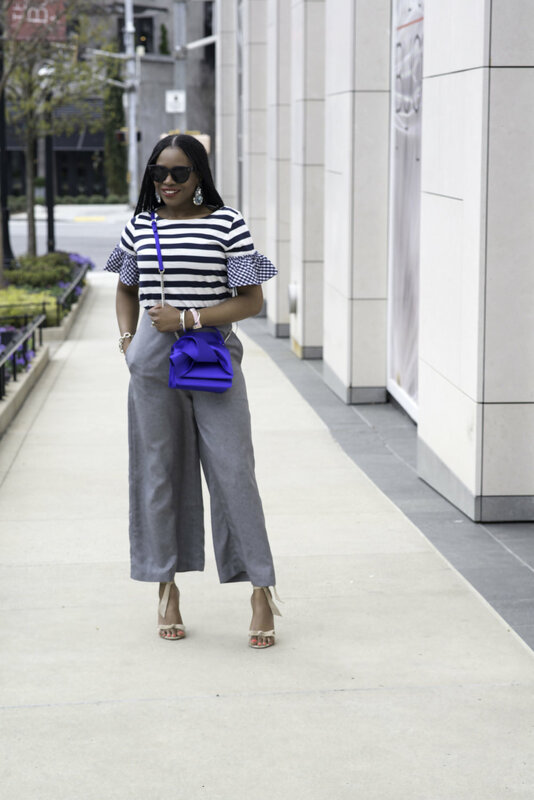 The high waist silhouette of the pants dress up my casual top. A pair of beige sandals and a satin bag also dress up the look creating a casual-chic appeal. 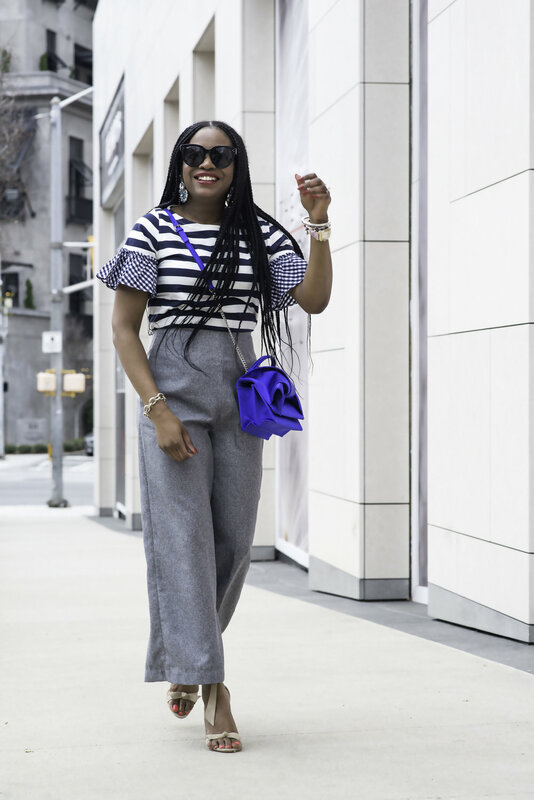 This outfit is a great option for a host of weekend festivities, so get inspired and use the links to shop the post. Wishing you all an awesome Friday, and weekend, see you next week!.